Sure to please the most discriminating tastes, this versatile gourmet food basket works well for a special client, relative or office staff. We'll select from a variety of crackers, cheeses, smoked salmon, meats, jams, jellies, nuts, gourmet cookies, biscotti, chips, salsa, dipping pretzels and mustards, caramel corn, cakes, candies, chocolates and much more, just for your special gift. Makes a great office thank you or housewarming gift! 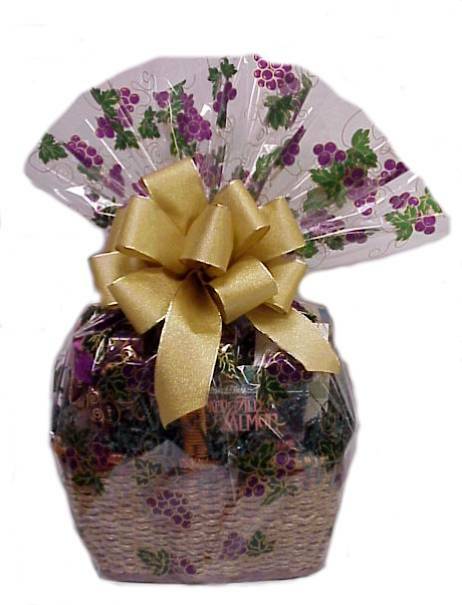 Contents, basket size, wrap and ribbon will vary based on price.